Spring is all about rejuvenation. 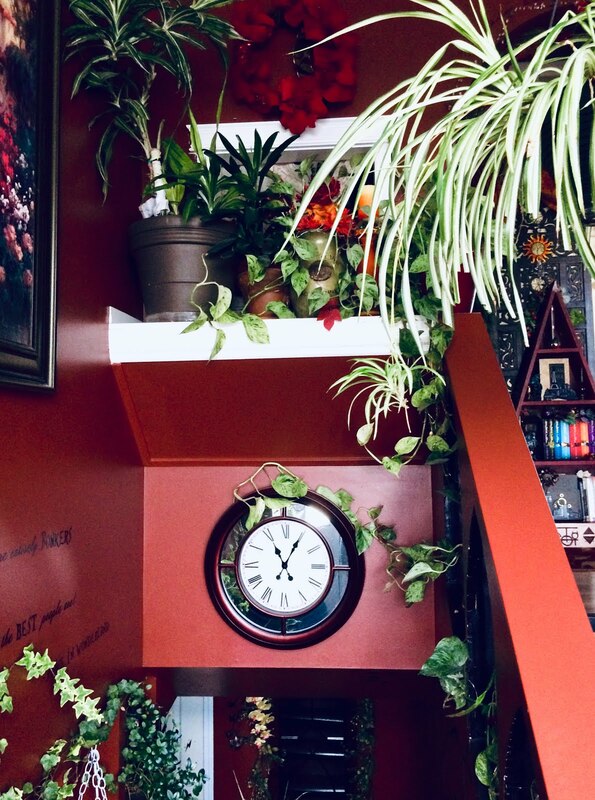 Since my abode is home to more than 73 plants, I thought I would share a few tips for caring for them. Besides my quirky habit of singing or putting on music for my plants (yea I do that) the rest of my care tips are generally quite practical. Music influences morals, choices and behaviours...so why can it not influence a plant? On a Scientific level, when you sing to your plant you are releasing carbon dioxide, which it absorbs, creates photosynthesis and gives better oxygen back to you. From a mystical perspective, the vibrations of exchange, alchemy of belonging and enjoyment play a part. 14 years ago I killed every plant accidentally that entered the home. I would have been astounded and disbelieving if someone would have showed me my future self and home. 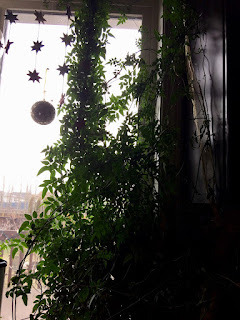 Anam Cara (our home) is a dream come true for me, but, as with plants, it took learning, care, time and change to BECOME. We have had our Winters but Eostre still arrives with all it's full fertility, renewal and moveable feasts of celebration. Thus, the cycles of plant life also bring forth healing and hope. With a little help (and care guide) we can access this more easily. 2. Add a fertilizer to the watering a few times each season. It will smell a bit earthy but it's worth it. Kind of like the smell of exertion after any worthy pursuit. It's a Stoic mentality. 3. At least twice a year gather: - Gloves - Scissors - A plastic bag - Cinnamon - Diagnostic book like "How to Not Kill Your Houseplants. (Click)" Then proceed to work through all the plants in each room of the house, looking at the leaves and soil for diagnosis. Be a Derrida. Deconstruct. Look for any suspicious spots, diseases or bugs. The information has helped me figure out time and again if I should save the plants or pitch them. If I could save them, I washed them off with hand soap and water, trimmed off any bad parts, and gently sprinkled cinnamon on any soil that was mouldy, sooty, or has white tufts on it. (First I remove the top of that soil and dispose of it, before adding the cinnamon.) My youngest son mentioned this process is like the "Basket of Apples Analogy" of Rene Descartes. I was impressed with the association that I wish I would have naturally thought of! 4. Cinnamon is not just an anti fungal, virus fighting spice for humans- plants like to too. 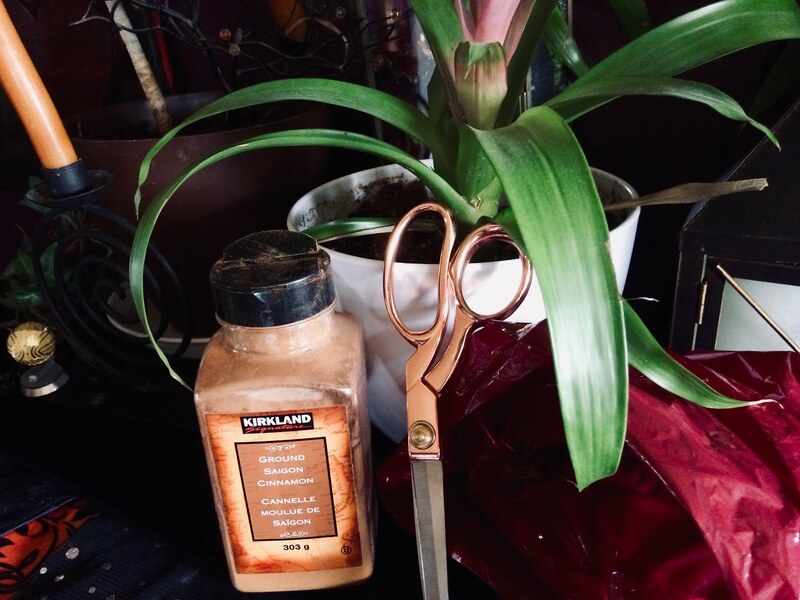 Plus, Cinnamon makes the home smell delicious bringing an Epicurean element to Indoor Gardening. Plants that are perfectly healthy do not need cinnamon but plants prone to wetter soil, fungus or white mossy tufts should have cinnamon applied. Large ferns tend to smell and I also use cinnamon on them a couple times a year. The old adage "roots before branches" applies to plants, thus look for root rot (This is also where the book comes in handy.) and throw out rooted rots in your outdoor fire circle. Root rot is not like Persephone. It can not rise from it's underworld experience. You can't save plants that traverse this road. Root rot may also be the reason you detect a faint smell in your home on and off. When you dispose of root rot, you will begin to recognize it by smell and touch. The roots will come out of the pot slimy and thick with soggy soil and the smell will be overwhelming once out of the pot. Don't try to dry it out or re pot it. Just thank the plant for the part it played in keeping your home healthy. Socrates knew when to drink the poison instead of living an old man's exiled existence for a few bitter years longer. I prefer the analogy to be applied to plants and not people but the example popped into my head. 5. Trim off any leaves that have black spots or are naturally falling away to make way for new growth. It's a growth mindset applied to planting. The diagnostic book cited above will help you decide whether you are wasting time trying to keep the plant or not. Some insects are easy to get rid of with a simple rinsing in the shower with cold to warm soapy water. Don't shock the plant with extreme temperatures. Try not to soak the soil. It's tricky business. With my larger plants I actually take a bowl of warm soapy water to them and wash off each leaf. This is time consuming and can be frustrating because it's tough not to get the walls or other room decor wet despite valiant efforts. I only partake in this exercise with the plants that can not be moved. Every two years is enough for me at times, because it is time consuming and does not feel very satisfying once all the work is done. I'm not that dedicated. William James wrote, "The art of being wise is knowing what to overlook." Maybe that can apply to mediocre dust too? 7. Transplant any House plants that need more potting room once a year. Wear gloves if you have allergies or are working with poisonous plants or disease. Just wash off with soapy water or change them between plantings. Mini roses that may seem dead can often thrive once they are transplanted outside. It is worth a shot. "An ounce of action is worth a ton of theory. "- Friedrich Engels. We had four plants that we thought were completely dead but they grew into lovely blooms during the Summer outside. Rebirth. Replanting. Sometimes we just need a new place to become. Roses are also prone to spider mites. They also tend to die due to disease from the store. If the plant even has one minor yellow spot on the leaves it means it will be fully "dried up" from disease within a few days to weeks. Which is not your fault. The plant already was contaminated. Most of our roses that have survived have been in the southern facing windows or down in the basement which has lots of natural sunlight. 8. The best time to trim back indoor plants is also in the Spring and Autumn. Even if they live indoors they still have their own inner timetable. Plants have the ability to sense their seasons. A Kant Intuitive process people would also be wise to contemplate. 9. Certain species are more prone to spider mites or diseases. If you have a tough time keeping a plant alive, avoid that species and pick something resilient. Usually the more poisonous plants are resilient but if you don't have pets or kids who eat plants, the toxic ones are great at cleaning the air. Peace Lilies are one of my favourite toxic plants. They can grow large, beautifully purify and I love their name ... the peace factor has a bit of a boundary and shouldn't be consumed, it has self protection embedded in it's leaves...I feel that says something about Peace... "The question is not 'Can they Reason' nor 'Can they talk?' but 'Can they suffer? "- Jeremy Bentham. 10. Enjoy the process. 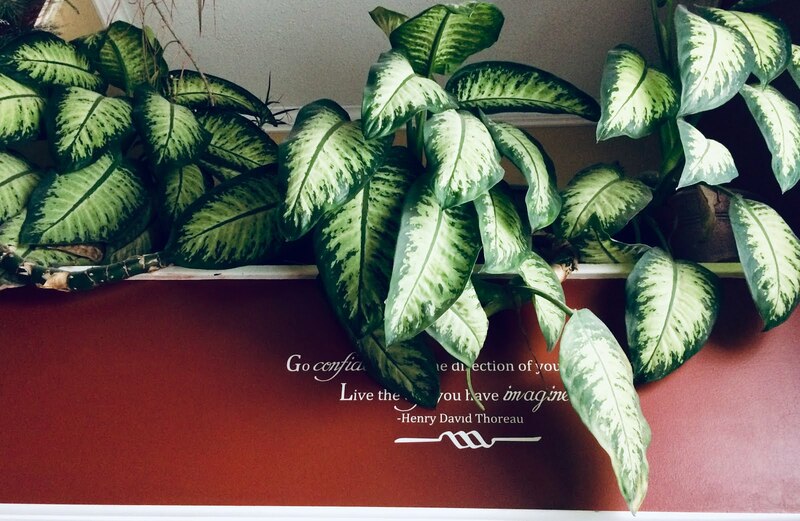 The rule of magic and home decor also applies to plants. The Rule of Three. Plants actually feed off each other's oxygen and tend to live longer if they are near another plant. 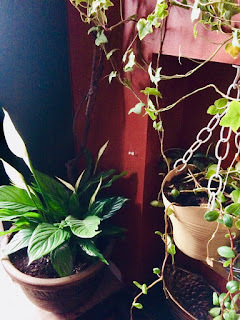 If your plant keeps dying it may simply just need some company nearby...that is, if you have watered it properly and placed it in the right spot. As Socrates asked his student, "Is it True? Is it Good? Is it Useful?" Apply that to plants...Are they watered true? Are they in a good spot? Are they feeling useful interacting with other species? 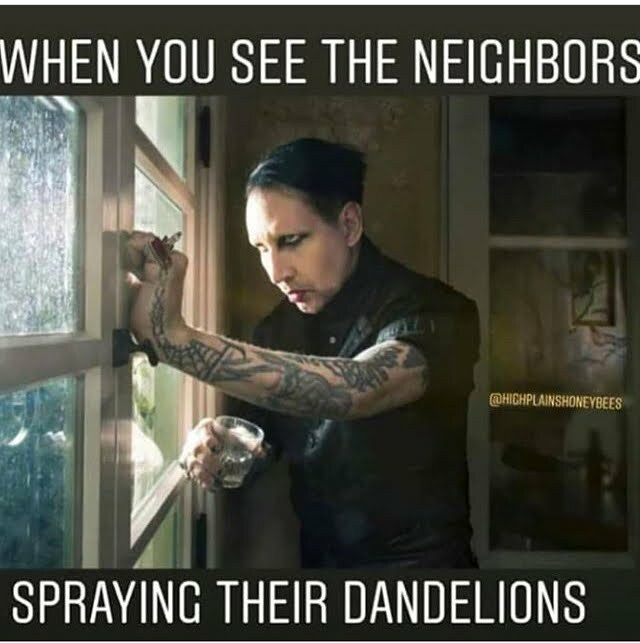 Also, since we are on the topic...the Meme below is how I feel about people who spray their yards and dandelions. Not only for what damage the sprays add to my Autoimmune diseases (and then I have to keep my windows shut on gorgeous days!) and the health effects studied and proven, but for what they also do to the surrounding environment and Bees. Every year my husband has to stop me from writing in to our local paper (and having my neighbours hate me even more and brand me more of a Witch) to give all the research, facts and alternatives to spray. I will admit to enraged rants at least once every spring which is probably why my family says I share a scary resemblance to the picture below. 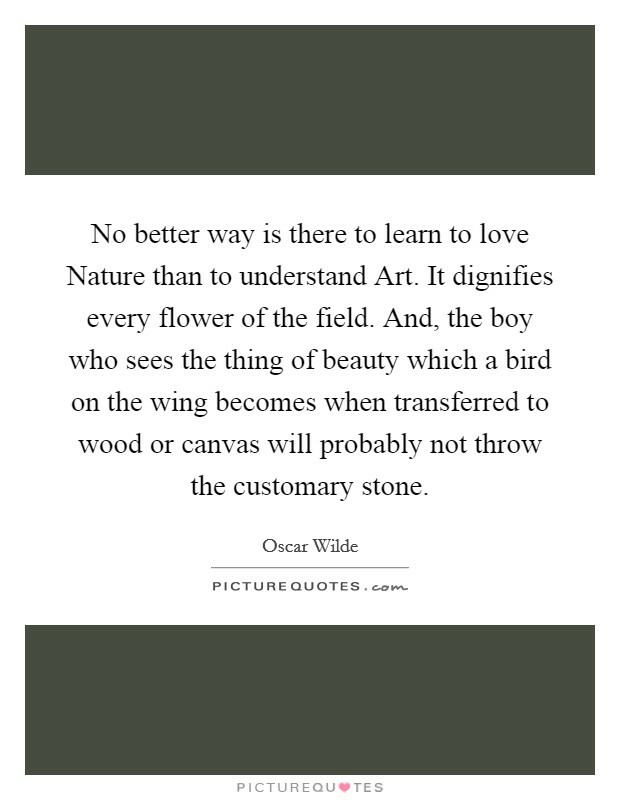 In this regard, I am a Cynic philosopher believing that one should live a life of virtue in agreement with nature... not conspiring against it with deliberate poisons. If you can't already tell, I do view my plants like philosophical friends. They teach me about patience, gentleness, quality care and the importance of BEING. Plants support my health, provide me with fresh air and perspectives, and give beauty while providing solitude and privacy. Recently a UPS delivery guy caught a glimpse of inside our Entryway and gasped, "Your home! It is SO ALIVE." 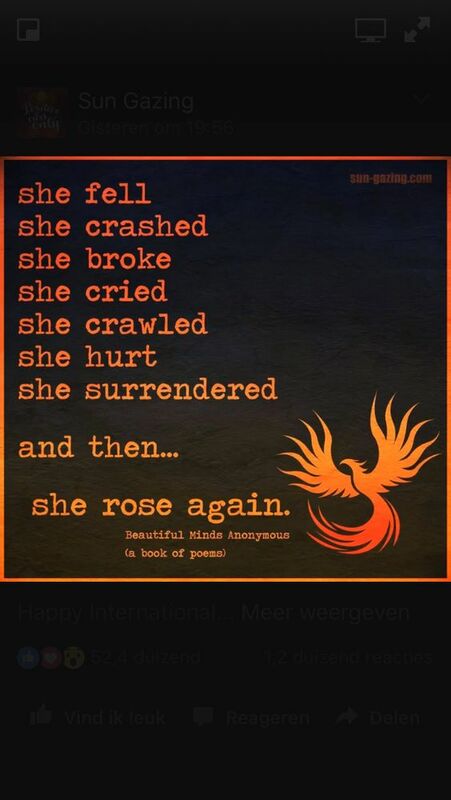 I loved that phrase. 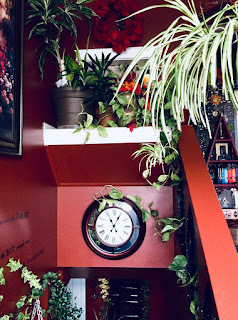 Our home is alive...even though it is comprised of a bunch of books, decor, colour and plants...but wait...colour IS alive. It brings out emotion. Books ARE alive with ideas, alternative lives to live, and stories to BECOME. Decor is alive with design, desires, and expression. Plants have minds of their own in the sense that they behave in certain ways. I once read that the definition of having a mind is to be able to represent the world in a certain capacity. I have seen the sophistication of plant "behaviour" in many ways. As Baruch Spinoza writes, "Being is to persevere in it's Being." Here is to Radiant Dawn, Green Life, and the Up- Springing of Light! 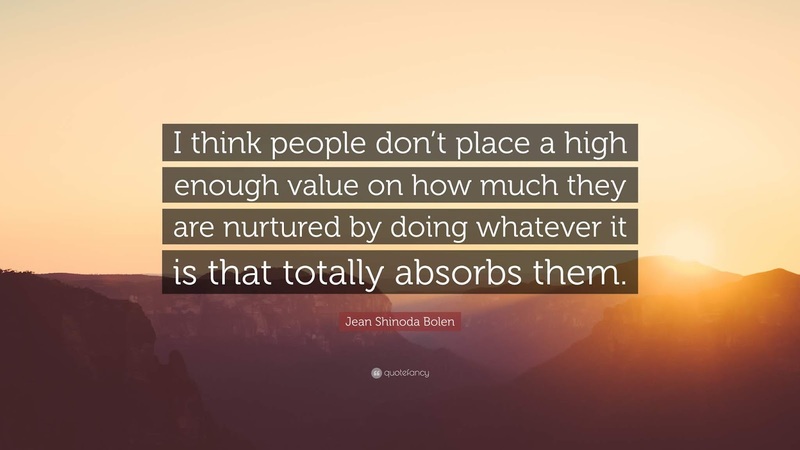 Jean Bolen, MD, is a Psychiatrist and Jungian Typologist, who wrote the book, "Goddesses In Every Woman- Powerful Archetypes In Women's Lives." 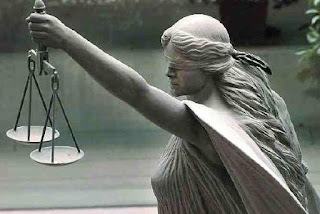 (CLICK) In the updated introduction of the book, Gloria Steinem wrote; "The Authors sensitive analysis of archetypes takes them out of their patriarchal framework of simple exploits and gives them back to us as a larger than life but believable real women. 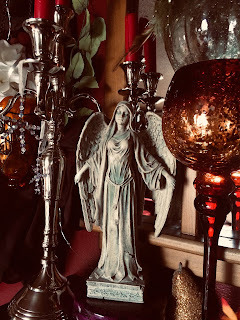 From now on, for instance, when I am longing for one of those magical spontaneous conversations in which the whole becomes far more than the sum of its parts, within each person improvising as in music, I might hit on one of the qualities of Aphrodite. 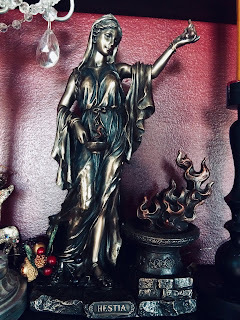 When I need to retreat to the hearth and contemplation, Hestia could lead the way. When I lack the courage to face conflict on behalf of myself or other women, Artemis is a good woman to remember. It no longer matters which comes first, the reality or the imagining of reality. As Jean Houston writes in the Possible Human, 'I have always thought of myth as something that never was but is always happening.' As we lead ourselves out of unequal societies, gods and goddesses may become one and the same. 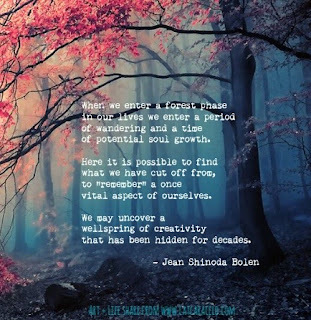 In the meantime, this book offers us new paths to take, new was to see and to become. You may find a myth that will evoke reality in you." Our family is obsessed with Greek Myths, because most of Classic Literature, Fairytales and Stories in culture find their rooting in the standard Myth Archetypes. Once myth becomes familiar, one can see the patterns over and over again in many life situations. Great literature can be traced back to Western Tradition and Myth. As a fun series, our family also adores Rick Riordan's modern 'Percy Jackson' twists on myth. The Archetypes invoke important lessons and deep thought. 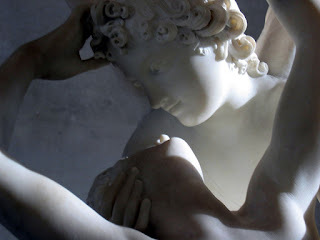 One of my favourite myths is of Eros and Psyche and her four symbolic tests. My favourite Greek Goddesses in the past have been Hestia and Athena, although all the mythical Gods/ Goddesses have lessons to take from. Thus, I was excited about Bolens' book. I found it a little dry in parts, so I skimmed each chapter, looking for my primary type, however, each section had intriguing information. I would recommend the read for anyone interested in Personality Study. The general theory is that each of us have a little of all the Archetypes, but have primarily one or two that rule our dominant personality. Once we are familiar with them, we can then try to rebalance ourselves when we need to. Speaking as a woman, this applies to me in roles of motherhood, marriage or career. As with any personality typing, it is a tool, to be used, to discover and ponder more depths in the psyche of self. I was surprised that my primary archetype was NOT at all what I thought it would be. Usually I can accurately predict my results for personality tests. I flipped through the book and began with whom I thought I would be (Hestia.) While I could relate to aspects, her description did not fully encapsulate whom I am. Especially the part that said she wasn't a strong personality presence. Next, I searched the Athena chapter and again, her type would probably be along with Hestia in a secondary position, but there were no "Ah ha!" moments. Next, I searched Demeter, Hera (although there were aspects of her that seemed to work too), Persephone and Artemis...and all of them were not my primary driver. There was only one left, and I was getting frustrated. I sighed aloud to my husband, "I guess I finally have found a typing system I do not come out strongly in. There is NO WAY I will be this last one. It's Aphrodite." My husband snorted, "Are you kidding me? Anyone who closely knows you would pick Aphrodite as your primary goddess. I could have saved you a lot of work as that would have been my first choice for you." I was appalled. I guess I am a little biased about Aphrodite because of how she is always depicted in media, either naked, shallow ish, insanely curvy, and devious. However, as I read the chapter I pretty much held my breath at each paragraph. Because it was eerily accurate. And I was wrong about Aphrodite. I also grew up in a Christian setting and Aphrodite types are NOT encouraged, so part of my qualm was my internal judging belief system. 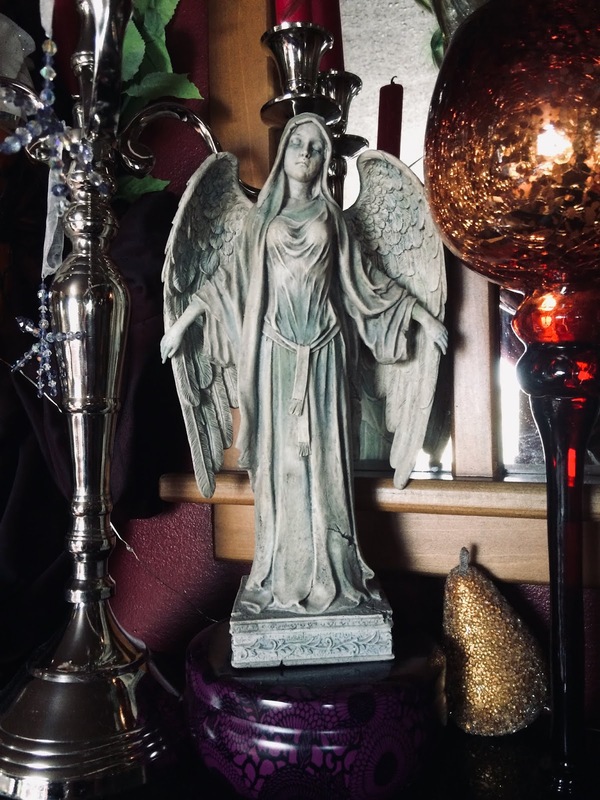 I couldn't fully relate to any of the Virgin or the Vulnerable goddesses. 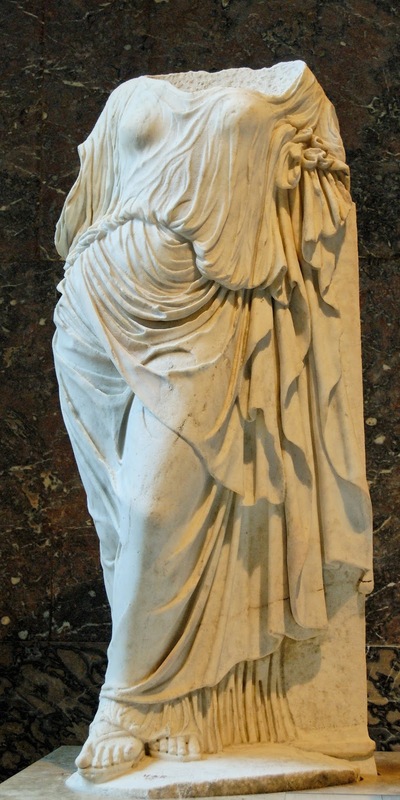 Aphrodite is the only Alchemical Goddess. She does not belong in either group. She has similarities but was not victimized and she valued emotional experience with others more than independence. Hestia is my favourite mythical goddess - we have a symbol of her in our home (pictured above) even though she never had any tributes in her likeness. The hearth stood for her because she was considered the guardian of hearth and home. 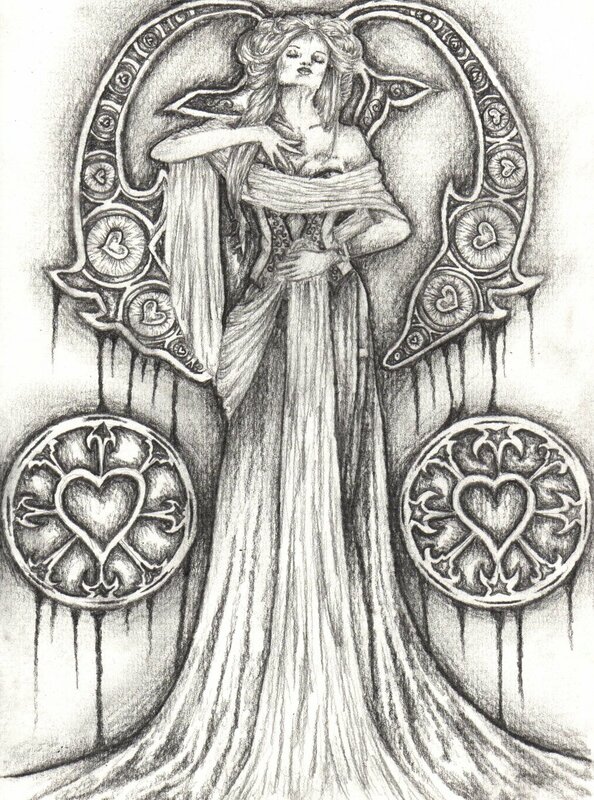 She symbolizes the importance of HOME. When I read the paragraph above I finally realized why I am drawn to Hestia. 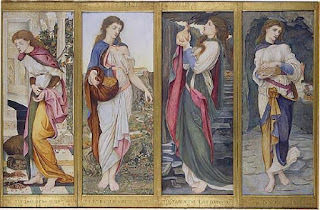 She suits my Introversion and focus on Hearth, unlike Aphrodite who seems Extroverted thus why I also mistyped myself. Although perhaps my Aphrodite result is why I can come across even more Extroverted than INFJ's can typically come across? Because of my strong, inner Aphrodite, maybe I seem more extroverted even though I am the Introverted of Introverts? I do enjoy people, connections and some sensory aspects of life. I could see how this could get confusing. That paragraph invoked an enthusiastic, "Yes!" To which my husband asked curiously, "What?" I read out loud again, excitedly adding, "She just summed up everything I love in a nutshell!" Amused he smiled, "I still am blown away that you did not consider Aphrodite. Think of all your blog posts and conversations- what is always the focus? 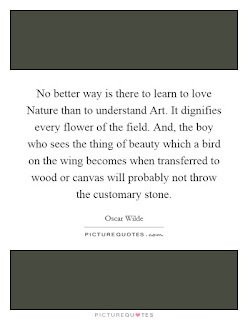 Love, Beauty, Creativity and Understanding. And for outer aspects, Honey, look at all the pictures on the side of your blog. You are comfortable with sensuality." I gaped at him and adamantly replied, "Those are TAME compared to what I could do or what is found all over the net. Besides the goal for those pictures is to express an inner part of myself I can not normally express. It is about finding the right angle and feeling pretty from a certain lens. I often say that I can't live up to some of my own pictures! You know that!" I also mistakenly believed that one had to be "Marilyn Monroe pretty" to be Aphrodite. I have an odd face. I can be striking with the right lighting, make up and photo angle, but in every day conversation, my big face, huge smile and interesting features would not be called gorgeous. I thought there would be NO WAY I would be an Aphrodite and I was pompous if I even considered it. Another misconception. 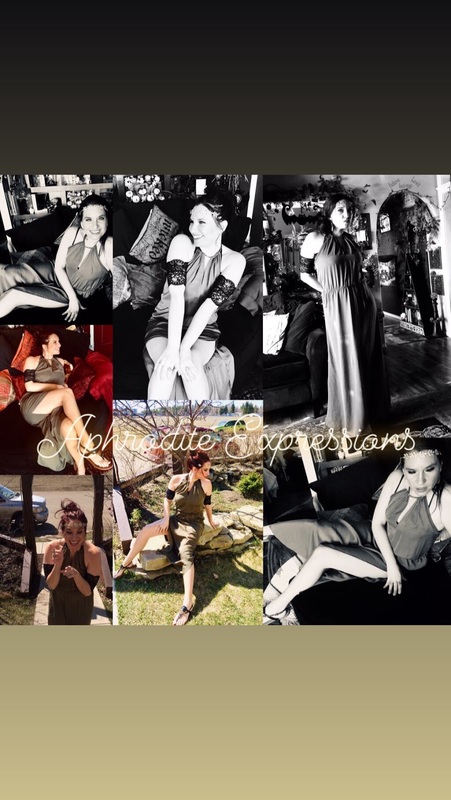 "...The Aphrodite archetype creates a personal charisma- a magnetism or electricity- that combined with physical attributes, makes a woman an 'Aphrodite.' 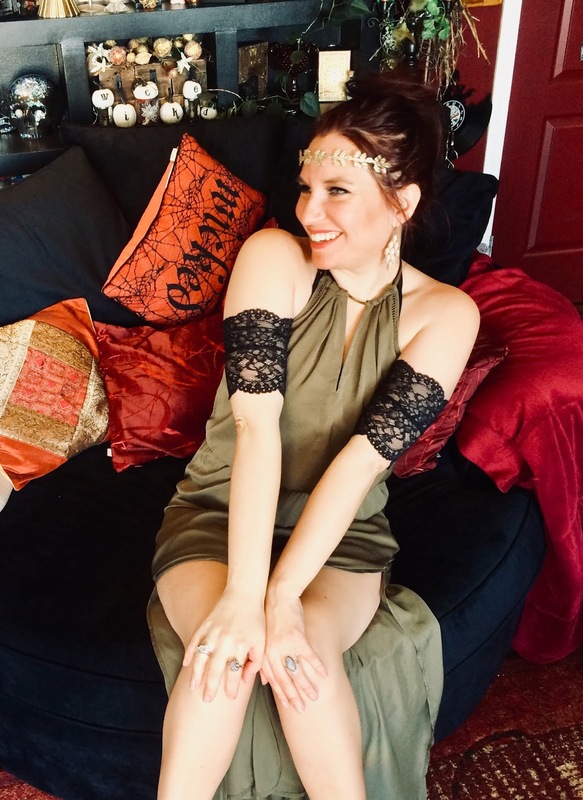 When Aphrodite is an active part of a plain woman, the woman does not draw men to her from across the room...Those who come close, however, find her engaging and charming (when she wants to be or is interested.) Many rather ordinary looking women with Aphrodite qualities attract others with the magnetic warmth of their personalities and their natural, unselfconscious sensuality." 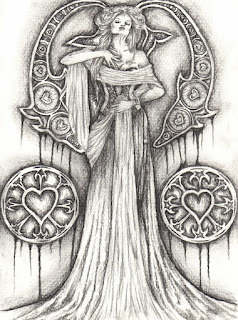 Another aspect of Aphrodite is her innocence and joy within her relationship to children. Pictured above "Aphrodite women like children and vice versa. "- Jean Bolen. 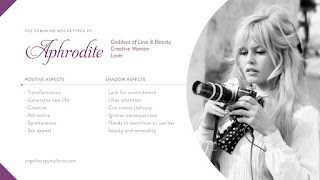 Aphrodite types can draw out good behaviour with charm. That explains most of my life. Children generally like me and even the most misbehaved children tend to mind themselves when they are with me. My children have also remarked that I bring sunshine (if I am in the mood to do so) and they adore my charisma. Charisma is actually a nickname I was given by several acquaintances. My mother once remarked, "Your children clearly adore you. Not just LOVE but are dedicated and adore you and forgive you all ills." The paragraph above finally described why. On a side note- this does not sit well with a few people in my circles. Once it was insinuated I manipulated my children into being so dedicated and loving me and I was devastated. I cried, questioned myself, had conversations with my husband and carefully listened to my children's feedback with every interaction I had. My husband eventually comforted with, "Babe, they are jealous. They can not understand how easily it comes to you so they think it is manipulative. Just be yourself. Be You. Don't worry about what they say. Your due justice will be yours and theirs will be theirs." It was good advice and since then I have decided not to hide the fact that my children adore me and that I adore them. I used to downplay it a bit but have decided to try to just LIVE it instead. In all honesty, I was hoping to get Athena first as my result, it seems less...patriarchal? Sensual? Wrong? 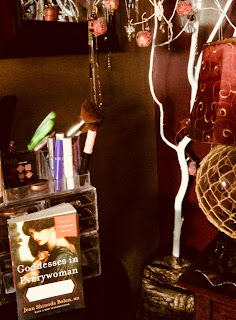 "When sensuality and sexuality in women are degraded- as in Judeo- Christian, Moslem and other patriarchal cultures, the woman who embodies Aphrodite as the lover is considered a temptress or whore. Thus, this archetype, if expressed, can put the woman at odds with standards of morality. Aphrodite women may be ostracized. "- Jean Bolen. I was censored a lot growing up. I often would be found kneeling on the ground for the male teachers in school to measure my skirt length from my knee. Yes, this was a practice. I would often be sent home because my outfits were too tight. Honestly, I was not sexually active and wished to save myself for the ultimate love of my life. Nor was I trying to be a temptress in theory. Not only did I have some naiveté, but I was actually just expressing myself in a way that felt natural to me. It was more about me, than others. I liked lovely outfits and I preferred the way Marilyn Monroe walked so I modelled my walk after her. It wasn't so much about attention as it was expression, freedom, autonomy, and an inward need to express outward. Over time, some of this aspect in myself became stifled. I could relate to the paragraphs about parents and Aphrodite daughters, along with the relationships with women. I had very strong relationships with some people, while others seemed to hate me right off the bat. Apparently this is common, especially with anyone who is uncomfortable or opposed to expressions of sensuality ( however tame.) 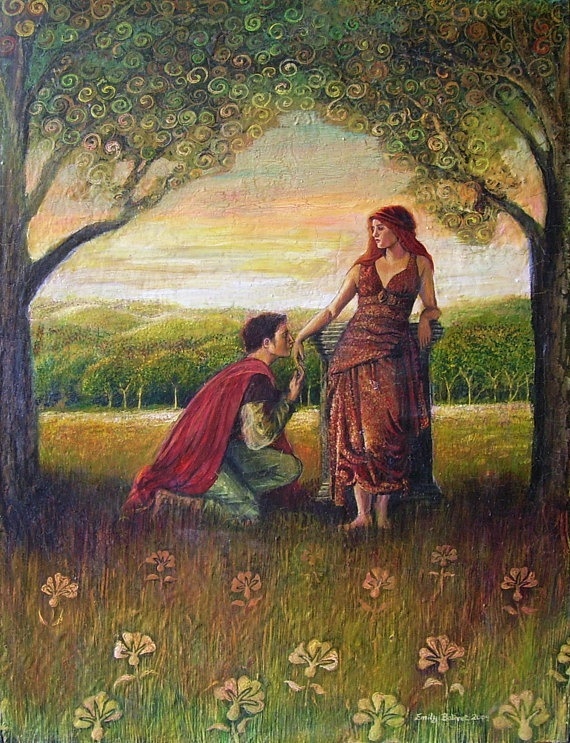 Marriage is sacred to me (perhaps my inner Hera?) and I have luckily found my match, so I would not be as prone to wander as most Aphrodite's are, but I DO like to explore general relationships. I like to deepen them and then allow them distance fairly easily. Yes, my aversions are rooted strongly in the paragraph above. Autonomy, interaction, beauty, consummation of the physical or creativity are all worthy pursuits in life and should not be desecrated. My wound definitely is described in that paragraph. I love to indulge my children, as Aphrodite mothers are prone to do. I also enjoy buying beautiful things, sometimes not within our means, another Achilles heal of Aphrodite. Both the pitfalls and the strengths were relatable. The only exception was extreme Extroversion, but in every other type I am an Introvert and aptly so. Oh and of course, I cannot relate to being "the other woman" due to my serious levels of commitment and finding the love of my life at age 17. So there is also that. My husband is my Eros. I value our love relationship and risk all for it. And thus far, I have won. Probably why the Psyche tale is one of my favourites, along with Hestia's concept of Hearth and Home. I think I have an Aphrodite followed by a Hestia/ Athena/Hera combo. (See HERE for a briefing on all the types.) Aphrodite gives a few more happier endings than most of the other God myths, although she has her fair share of distressing tales, and I enjoy a happy love story. "What happens at the end of myth? Eros and Psyche are reunited, their marriage is honoured on Mount Olympus and Psyche bears a daughter named Joy...note that after proving her courage and competency, the heroine does not go riding off into the sunset by herself, like the archetypal cowboy hero. Nor is she cast into the mold of the conquering hero. Union, reunion and home are where her journey ends. "- Jean Bolen. I think it is perfection that the daughter is named Joy. Because I sincerely find that relationships rooted in love bring the utmost joy to life. I also love that at the end of each journey, Hestia and Home awaits. "The individuation of journey- the psychological quest for wholeness- ends in the union of opposites; the inner marriage of "masculine" and "feminine" aspects of personality....said more abstractly and without assigning gender, the journey toward wholeness results in having the ability to be both active and receptive, autonomous and intimate, to work and to Love..."- Jean Bolen. What a beautiful balance to be in life! My life is all I have to give and within that, I will DARE to live, until the very last. Giving something of myself while also celebrating and honouring self. 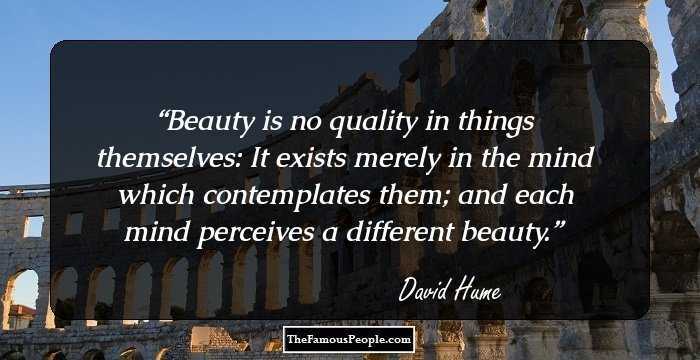 At my core I believe in beauty, creating, love and understanding. 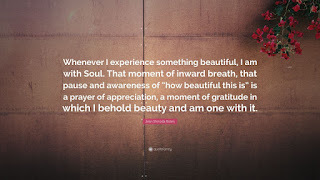 In the end, I come back to my home, to my ordinary, even during or after the struggles, and that I also value and infuse with these characteristics. I am now willing to add Aphrodite to my Personality/ Typology results. I was resistant and came in with my own judgements, but I am getting used to the idea. I am still taken back at how strongly she describes me, and my husband is still shocked that I was surprised. I'm surprised I was taken by surprise within my own persona! But this understanding adds another layer to how I can be my best self in the world we both create and find ourselves in. New adventures will arrive to test my character. But during the calm I hope to continue to embrace the love of life and the life of home. * ALL quotes taken from the Introduction and End chapters of "Goddesses in Everywoman. 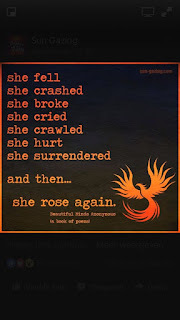 Powerful Archetypes In Women's Lives" by Jean Shinoda Bolen, MD. CLICK HERE. I HIGHLY recommend this book to browse for your own type and see patterns, downsides and positives, to add to the complex picture that is YOU. Song Choice 1: Back In November, way before I discovered Aphrodite, my insightful friend Glynis wrote this to me when I was struggling with the baby conundrum: "Even thinking about having a baby caused this to happen to your physical body: of swords, grief, and internal battle, the need to defend itself ( autoimmune problems. )Your body was giving hints that it wasn't willing to go that route. And so it turned on you because what it wanted was a creative expression but did not want to go through the physical aspects of being pregnant and going through hormonal changes, and the postpartum period which would have left your mind still wanting to create because if the root of the issue was creation, and the wrong route for you would have been taken, there would have been a setback and possibly would have meant strife within the family, as well as your body itself as it tried to externalize what you were internalizing. Your soul is asking you to listen for a muse. She is saying, you have work to do. Commit to that work. Commit to bringing more and more creativity into your life, give birth to your ideas because they start as seeds but if they are not fed and watered then they will shrivel up and die. Commit to being creative in ways that are unique to you and to what will feed you and when you notice changes in your body, any sign of the five of swords, you'll know it's not time for that idea, or that it's the wrong idea, completely. To have faith in your skills. It says to believe in yourself, in your dreams, in whatever work you decide to do in the creative realm. The root of the matter is and what can you do: Dare to dream, dare to create. Dare to follow your heart not only in your mind, but in your actions. You have been called to do these things by your very own soul. And of course it is daring to dream and daring to create and about being brave in following your heart, I'm including a song you know well. Dare to Live by Andrea Pocelli and Laura Pausini" https://www.youtube.com/watch?v=55gxqsU20UM Glynis' wisdom, along with the rest of her words I did not include, had me crying with the accuracy. I still wasn't ready to activate the truth and longed for a baby in the meantime, but now I see clearly why I needed her voice. Her wisdom gave me patience and hope. And it ties into this post. Four Things I Do When My Life Falls Apart; Grieving, Gratitude, Chapter Endings, Glee and Music. 1. Grieving for people, places, dreams, or lost possibilities demands a certain level of acknowledgement in the form of tears at some point. Some of us cry more than others, but until we can actually have a moment to leak our loss out of our body, we have not fully dried up our heart of it's weeping wound. I don't cry the first few days of loss usually. If I do it's later than most and in weird spurts. However, on and off for a few weeks after an event, I allow myself moments to be triggered to cry. I listen to songs that will help bring them on so that I can cry out the pain and leave that empty space open for new emotions. Enneagram type 4's are especially gifted in acknowledging "darker emotions." It is said that our dark linings are often the happier emotions for other types ( joy, comfortability ect.) and we are comfortable with expressions of grief, anger, sadness ect. Perhaps that is why point two comes fairly easily to me? 2. The lyrics from the song above "3 Things" By Jason Mraz is so on point. After I have cried, a crucial step for moving onward is to be grateful. 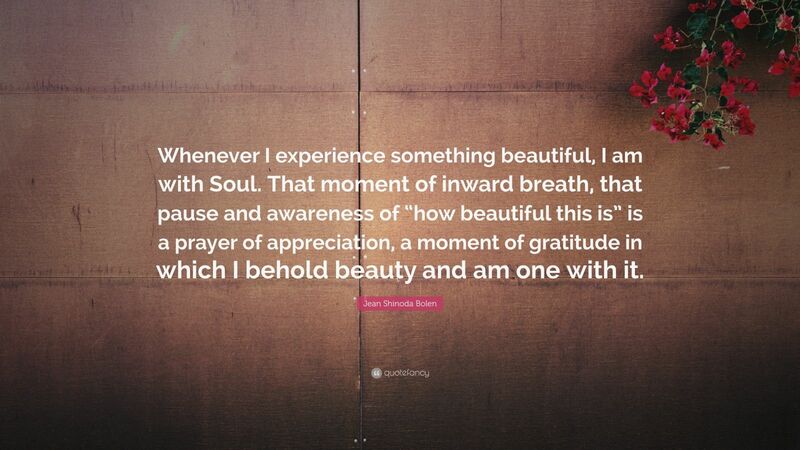 To try to see all the thank you moments beyond any negative or anger or loss. Because that love can fill up where the tears were. Go where the love is- because surprisingly love is often around you in hidden or obvious places, or maybe love is on the way. I truly do gather strength from sorrow and it always makes me glad that at least I am alive to feel this moment too. Love is the answer I rely on, and when love is there, life can be viewed through the sunshine lens of full support. 3. This is an important part. To PAUSE. To bow towards the audience for the last curtain call and see the chapter as only part of the story. To realize that once you walk off that stage, a new beginning is waiting. And that the future does not have to be based on the past at all. While the past influences where we are and helps build a foundation, those who remain stuck within their bitterness or "should be's" can not BECOME. We must try again. We must go onward. We must forget to a point. Enough to move forward without dark roots. We must forgive and also see the beauty. To breathe in what was, and to acknowledge and breathe it out. We are so much more than our past and once we have been grateful for it in point two and savoured what we had, it's time to take that final bow. Even in the small events; like when my grandmother whom resembles most of my childhood concept of HOME, comes to visit and I have to say goodbye at the end. Each time it is painful. She is the only person who can illicit public tears from me and whom I get choked up saying goodbye to. That has been constant since childhood. Each time I PAUSE and honour the chapter she just played in. Because she is HOME in many ways, I have to remember that I carry her onward, into my own becoming. Her INTJ persona fits so nicely with my INFJ and we share quirks. My husband often says I will be a version of her when I am older and he is so honoured to hopefully witness that (I think his words were "Can't wait" as he adores her...but I can wait because each moment is precious with her in it too.) Each bow, and end of chapters of life can feel frequent, in large events and small, and to be aware of this, honour, and breathe them in, is a gift. 4. Glee is my strength when I am weak and often my voice when I can't speak. I honestly count some of the songs, episodes and characters of Glee as part of my life story. Because various episodes of Glee shaped me that much and make me feel things that I don't often feel anywhere else. I probably grieved more when Glee ended than most of my life relationships- because it was a PART of ME. It expressed so much of my soul, that as an Autistic person, was not easily expressed otherwise. I often felt the writers knew me, my brain and all my interests. It intrinsically became me. Music and lyrics have always been part of the way the Universe speaks to me and loves me and how I express love. As an INFJ music IS language, but being Autistic gives that fact another level...and Enneagram 4's also tend to speak through music- so thus Glee was an excellent fit for me. At the end of the day, I have to know I am loved by ME. That no matter where I go in life, or with whom, how I conduct myself, and BE in the world, defines me. That is where the love is. And if I have that, I will always have pieces of love surrounding. 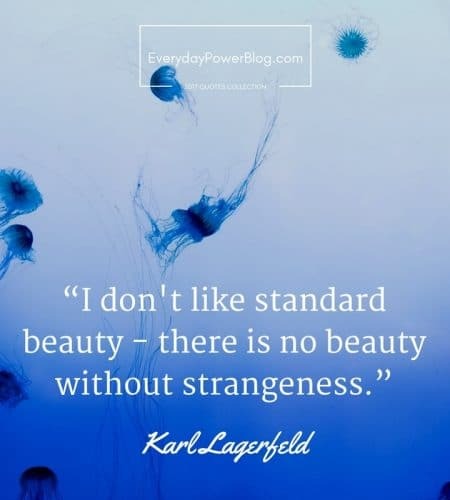 And that is a beautiful concept. A beautiful mess of BEING. It's not only about whom you love. Life is also about how you love. And if you bear the how, you can bear almost any why. I have been emptied and filled up again. Life is breathing in fresh air. I am finding that whom I am, attracts love, life, and gifts of belonging. Whom I am also begets struggle, normal life consequences, beginnings and ends...but within that, I know, even in solitary states, I am not alone. I have more friends than I know, some surrounding me and some in my destiny. I also have my own friendship within myself. My husband brought me home another gift yesterday with the words, "I saw this necklace and it was you- so witchy, so deep green reminding me of your magic within. I want you to know I am your best friend and you are worth SO much." Another friend heard that and said, "What a kind gift and such a YOU gift." When our souls are validated and SEEN, it's also another bonus in life. Are Those the People Who Feed You? Called to Question Gatherings. Home Tours and The Beauty of Sharing. We host a gathering in our home on and off to which we bring speakers to a small community. We pay the fuel but ask they speak for free if it is a topic they are passionate about, with a question and answer at the end. We have had a variety of speakers, some whom are in demand, yet are humble enough to come out and speak to a gathering of about ten. It's been encouraging to see the capability and willingness to share stories from the human collective. Recently we had a University Psychologist who offered to come back for a fourth time because he enjoyed it so much. We joked that he just liked studying us and our home! We got on the topic of why he chose to accept an invite from a stranger and he replied, "It was an intriguing idea. Even in my home in the Netherlands this is an unusual idea that is not often given. Especially that you are open to all topics and it's not tied to a religious or anti religious agenda. I thought, why not? Then I came and your home is so welcoming and unusual, the people are all unique in that they are so different in belief but respectful in approach, and I enjoyed sharing with people who were interested." His travelling buddy added, "My friends in Europe now know about your home on google maps and when I found out he was speaking for a third time, I got so excited to come back here! It's such a refreshing place of strangers connecting and understanding in a setting that is unusual and welcoming. I want to take pictures of your house and send them into a magazine. I do photography and can assure you there is not a lot seen like your home. And your concept of being called to question ideas, possibilities and make room to share stories in a safe place is fantastic. In fact, I think I want to start groups like this when I settle down and my friends in Europe were interested in the idea too." We joked back, "Hey, we can be our own cult of franchises!" We were kidding because one of the topics was cults and thus the joke. The gathering is about freedom and sharing ideas in a safe place from any belief system. We asked the professor if anyone else in his department would be interested in speaking. He replied, "Actually I have spoken to many of my colleagues about this. I find it funny because a few people have asked me, 'Are those the people who feed you? I think we have heard of that!' "
We laughed. I'll explain why... We offer paltry snacks and some wine. In our email invite we DO offer a cooked meal. But most of our speakers do not take us up on that naturally. I wouldn't if the tables were reversed. It's a brave act to eat at a stranger's home...to speak at one too. However, another professor of Philosophy at the same University had spoken three years ago and ate supper with us and a guest. Word spread. My husband and I think that it is ironic that we are known as the "people who feed others" because on a daily level at home, we struggle to feed our own family due to our issues with food. We dislike sharing meals at other people's homes unless it is our parents (and even then we sometimes prefer to eat our own stuff if we are on another frequent elimination diet) and we also rarely feed meals to others. We do, however, provide snacks and coffee often. It is easier for us. So to be known as "the people who feed you" is astounding. But then I stepped back from the literal statement and realized, "Actually we do feed minds, feed souls, feed the hunger of loneliness and the hunger for knowledge. These gatherings feed love, sharing and understanding. They feed a need for discussion and dialogue within places of unique healing and facilitating. We DO feed people." My husband came up with the idea of "Called to Question" more than seven years ago. He wrote an article to the paper as an invite. Honestly, some family members gave him flack for that, but it was one of the bravest decisions he made. And since then we have hosted many years of speakers. Each time we usually have one new face, a few regulars, and then an ebb and flow of attendees. But ALWAYS, even if they never attend again, we get profuse thank you's. We have had a range of belief systems. Once we had a Mennonite in attendance (whom had to attend in secret) and our speaker was Nathan Phelps, an Atheist and estranged son of Fred Phelps (the fundamentalist who picketed) who talked about Gay rights. What struck us was that afterwards our Mennonite guest confided, "I didn't know atheists could be kind. He was one of the most thoughtful people I have met, so gentle mannered, so forgiving, so full of intelligence. I was taught that Atheists could not be like that. I have never met an atheist and hearing him speak and share his story has given me a lot to think about." THAT is what it is all about for us. People being able to hear completely opposite thoughts of their own or stories that they wouldn't naturally hear from another human being offline. It's important because it is in person, with tone, inflection and facial expressions to show the range of feeling, human kindness, and beauty. We have had speakers who are fundamentalist christian too, but have been kind, willing to dialogue and are able to hold a conversation without anger, but still present their perspectives. We feel showing a range of topics and not limiting to topics we affiliate with, is important. In fact, most of the speakers do not represent what we believe, although there may be facets. Most of the questions stay on topic, even if they do stray to personal beliefs at times, my husband is amazing at keeping things on point if the speaker is less gifted in that area. Although most of our speakers are gifted in neutralizing, staying on topic or bringing it back around, and giving people a listening ear. It's mostly about respect. It's kind of like a home based Ted Talk with feedback at the end and a little conversation, wine and possibly a home tour! "You're home is so ALIVE." That one was from a Fed Ex agent who happened to glance inside the entry and then his eyes widened and out blurted my favourite exclamation of all. ALIVE. I love that and wish that a home being alive would be the usual not the abnormal. "Are you an Architect and Designer? Your husband is a very talented carpenter. But who came up with the planning of design, colour and the spacing?" Design was a hobby of mine when we knew we were going to make a basement and tear out rooms upstairs to make a sun room/rec library. I studied Sarah Susanka's 'The Not So Big House' series for years pre internet (well there was Internet but we didn't have it in our home yet.) By the time we went to reno's I knew about lighting, spacing, closets, what works, how to design ceiling levels and corners to cut outs to make the most out of a smaller home. When I put my mind to something I am passionate about I take it to University level learning at home. I seek out peer reviewed architectural resources and become a layman version of the profession. Thus, I have had 3 designers in my home, one painter, and one architect. ALL of them noticed certain features and thought I had gone to school to plan this. So obviously this is my favourite compliment. I cherish it because it shows two things: You don't have to attend school to be good at something. And chances are, that if you just try in life, try to make, because our souls are MEANT to MAKE and create, the pay offs can be large. I am very different from an official designer. I am too lax and don't apply most rules. Plus, it's not as much of an obsession anymore and has been downgraded to a hobby. In another life I think I may have gone into Architectural design. I LOVED planning out a home. Sometimes I make new home Reno plans just for fun. I adore Renos. Unfortunately I am not talented like my husband in actually drawing plans and doing the math nor ambitious enough to put the time in to learn it but I like drawing crappy plans and having him know what I mean and he makes it come fully alive on paper. 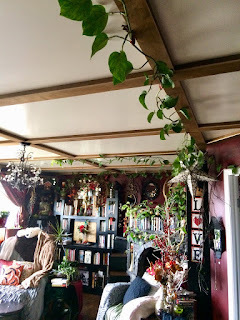 I loved learning about lighting, how to raise a ceiling, where to place windows and light fixtures. I am still annoyed at a few mistakes the original top floor came with, as well as a few I made during the Reno phase, but in general I am happy with it overall. "Your husband should be in high demand for Carpentry. He could make a killing in the city doing the detailed work or fireplaces or ... ect. ect." Honestly, he would hate that. He had a hard enough time on our home and he prefers loads of space and time to make mistakes. He IS talented. He prefers giving his time to home. We have heard statements like, "You could be so much more." Or some such nonsense. We already ARE. "Home design is a trend but you take it to the next level in a homey way. Yours is quirky yet classy. How can those two concepts even work together? But it does." "You could be featured in a magazine. It is such a different approach to home living!" "You have created something unique here. I could spend hours looking at all the stuff." "It looks like Pier One exploded." Ha ha. 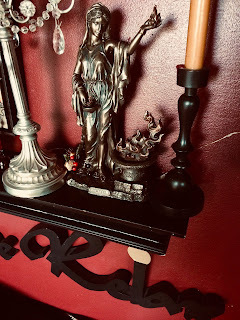 I'm a Maximalist not a Minimalist...and hated the minimalist movement for myself, although at other's homes, if they love it, I love it. But I find that an empty space is aching to be filled. "How many hours do you spend dusting and watering plants?" We get this statement a lot too. The answer is half an hour weekly for plants, half an hour each for a family of five dividing the house for dusting. "How is it possible to have all seasons in your home? Yet somehow it works? I see Spring, Summer, Autumn and Winter decor along with some of the larger holiday themes. It should feel weird. It should feel wrong, but it's cohesive. It's oddly satisfying." "I would love to stay here. It feels like a resort. 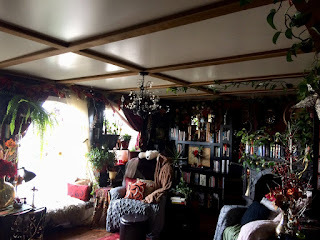 Like a soul nurturing resort where the people get to feel HOME, read in a cozy chair with loads of options, shower in a beautiful double shower, enjoy the indoor world of plants without going outside but have the feeling of a sunroom, and layer on the multiple throw blankets. How is it that you have a fireplace in every single room? It is the epitome of Hygge." And that statement is why we host 'Called to Questions' in our home. We have been offered alternative spaces to grow. We could grow and make it bigger. But bigger is not always better. Reaching more people can be nice, but we would lose out on part of the charm. The environment is part of the reason the conversations flow. We have seen the magical affect our odd home has on people. Immediately they are subdued, sleepy or put at ease...because it is that comfortable. And that provides peace. I often say that half of the world's issues could be solved with beautiful spaces, beautiful homes that provide people with respite so that they don't need a vacation from their own lives, lovingly nurturing medical places that speed up healing, and thought out business models with loads of plants, colour, art, and personality. I feel that this is mostly all owed to my husband. His big controversial ideas often bring healing. He causes quite a stir but often the dissension is far smaller than the amount of GOOD that comes later. His unconventional ways provide respite for those in need. His willingness to put himself out there for criticism provides others with hope. I honestly had a hard time with the idea, being an Introvert, but I wanted him to realize his dreams. I am glad I took the risk. He also made my ideas into a reality and his talent in making things work, is astounding. I love sharing my home as it's like sharing a piece of my quirky soul, and I like people working towards harmony. The beauty of sharing brings peace. "Are those the people that feed you?" What a lovely question. What a sentiment to live up to! In thought or deed. This is one of our family anthems. Enjoy! Home- Philip Phillips "Settle down, it will all be clear, Don't pay no mind to the demons that fill you with fear.Trouble it might drag you down, if you get lost you can always be found. Just know you're not alone. I'm gonna make this place your home... "
NOTE: This post is about more of an intimate INTJ/INFJ relationship- a close one. 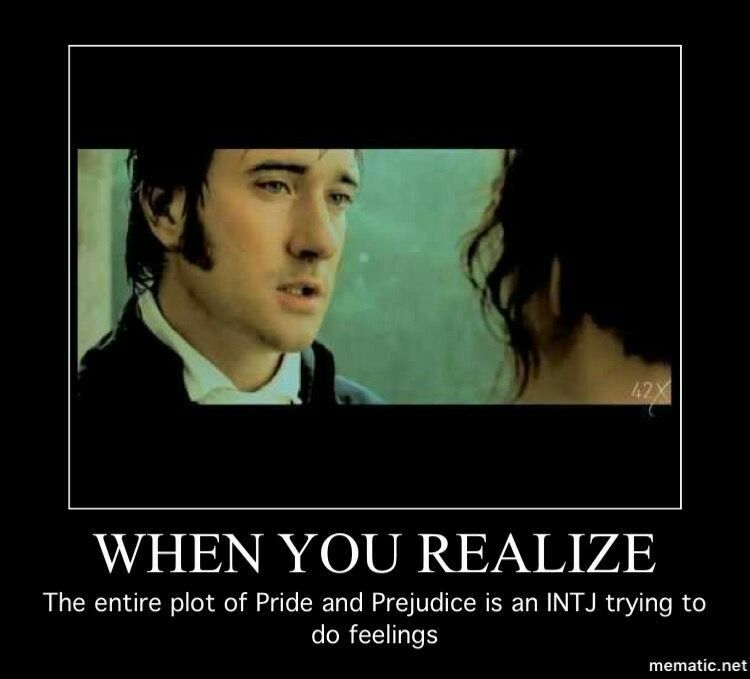 I know MANY INTJ's in a more acquaintance level way. For some reason we always find each other. INTJ and INFJ are an EXCELLENT match for brief or ebb/ flow engaging conversations. Generally, we easily get along. If I can't figure out a person I am talking with that I am very interested in - they are usually an INFJ or INTJ. This also happens with INFP's ( automatic connection) but it's easier to type them right away. I can always tell an INFP from their unique expressions and intense feelings. Two INFJ's do not last as long together for the most part but initially it's fun! I often can not recognize them immediately because I am so interested in the conversation and immediately drawn in. If they know their type and say they are an INTJ automatically my brain confirms, "Of course you are!" My paternal uncle, a couple aunts, some friends, my sister in law, a few of my professor acquaintances, my paternal grandmother (whom has MUCH In common with me and we get along fantastically! ), and some second cousins are all INTJ's. We can have the best time when we are together- especially if we get on certain topics. As a general ebb and flow relationship it is one of the top personality matches for an INFJ and INTJ ...or in about 3/4th place. ENFP's are generally the best match for an INFJ marriage but honestly? Any personality type combination can work with a little hard work, constant communication, humour and kindness. I just came out of a "long term relationship" -15 years- with an INTJ. For context we were deep soul friends on every level except physical who talked every day about everything for 15 years. ( CLICK HERE for the ending of INTJ and INFJ and the difference between my husband and I, and her and I.) As an INFJ myself, I felt this was a perfect opportunity to write out the pros and cons of an INTJ and INFJ relationship before time slips away at my inferior memory. This is from a VERY close relationship perspective ( see the link above.) My son is also an INTJ and his nuances are different from my former best friend, so I think I can give a fair picture. Instead of using the MBTI descriptions (extraverted thinking ect) I am going to use Personality Hacker's (click Here) easier descriptions to illustrate the personality types, even though the MBTI has an approach to personality that I also am enriched from. 1. *It's interesting to me that the cons list can also sometimes correlate to the pros. For instance, both the INTJ and INFJ have a 3 year old process of Sensory. Which means exactly what it sounds like. Get either type into an overwhelming sensory situation and we will kind of act like a 3 year old in terms of dealing with it. Even if we are mature, that ability to process it all in an advanced way is not in our toolbox. It also means that when we struggle in life we can go into our Sensory as a way of escaping or coping. Thus, two people can enable each other's bad habits of hiding away, shopping too much, seeking out large amounts of sexual activity, food, drink, or other sensory habits. OR enabling each other in deprivation. Because the sensory drive also works that way, in which, we decide we can't deal with the sensory so we are strict with our diet, overexercise, become stingy, overwork, or deny, deny, deny. Two people with the same habits can allow the comfortability with that or encourage bad habits. So while the Pro list has this as understanding, the con list also has this as enabling. 2. INTJs and INFJ's share Perspectives taking as their main driver or cognitive process. Due to the fact that their Co pilot functions are different, sometimes they can feel like they are on the same page but the nuances of their co pilot cause miscommunication. 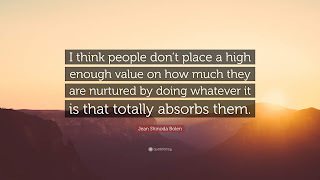 Harmony is an INFJ's co pilot so they will always be looking for meaningful ways to connect their perspectives to other people, to create a better life for all those around them with their information and to help heal the world and their small world as well. Effectiveness is the INTJ's co pilot and it is based on taking the information from Perspectives and trying to close loops, figuring out what works on a practical level to express on an outside level and make the world a better place. Both are similar in some aspects but both are very different in their application. Harmony does not like to always be effective. Effectiveness does not always have room for Harmony. 3. *Both types love to conceptualize but that in itself can become a loop. It's hard to recognize as well because it seems like it can be a good, healthy way of processing life. However, this can sometimes be a cause of pride (For example statements like "No one can do this better than I can" or "They can't see as well as I do how this will be or predict the outcome.") INFJs are lucky in that their co pilot Harmony checks in with other's emotional experience. INTJS are more distanced in their long term analytical ways, thus the relational aspect is a little harder. This is where the relationship also breaks down in communication because the two types can SEEM so similar but their emotional experience is entirely different. So while there is understanding, there is also miscommunication. 4*The ten year old process is vastly different for these types. INTJ is Authenticity or what FEELS right. 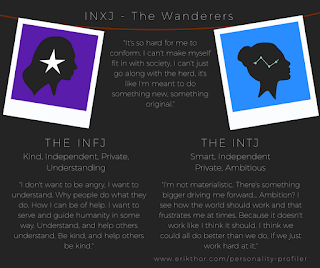 INFJ's is the opposite of their co pilot as Accuracy or what IS true and right. They sound similar but the process is entirely different. INTJ is focused on conviction and INFJ is focused on distance. Plus, a ten year old is still growing in experience and should not be trusted at home for long periods even if they are mostly responsible and provide respite from life's demands. Thus, a ten year old process is the same for reliability and unfortunately an INTJ and INFJ, when relying on their ten year olds, can focus too much on their inferior processes and this is where most of their disagreements stem from. Both of them focusing too much on a ten year old process that should only be brought out occasionally to balance a bit of life but if over relied on causes massive issues. INTJ's become prickly and INFJ's can become mis communicative in the details that seem right to them but are not always accurate to others. 5* That T and that F. (Also see pros) INFJ's are often able to cross over to the "T" side a bit more. In fact many INFJ's often score close to a Thinker instead of a Feeler. One of my cons over time with my INTJ was that I became more in my head for many years. Which was natural for me, but around the 13th year my feelings, due to life circumstances, wished to be honoured more. She did not like this adjustment and felt that I was pushing suddenly. She felt pushed to express more than she wished to, which was valid for her. From her perspective she was feeling misunderstood and blown away when I didn't respond the way I used to. I felt like I wasn't being validated or valued for whom I was. We tried to adjust but after 13 ish years of being more of a Thinking relationship it was hard to adjust. She tried her best, she did become more emotionally expressive, but at times it felt too unnatural to her or aggravating. It was easier for me to go towards Thinking but parts of me that wished to be more Feeling, felt ignored/ pressured. 1. 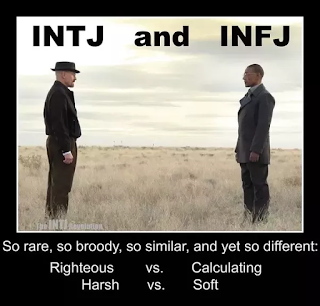 *Inferior Sensory as a 3 year old process can mean that both the INTJ and INFJ can understand each other's struggle in this area. (See Con list for the same point.) That understanding is rare in life because most of the world is made up of Sensors. Most of life's experiences are Sensory. Thus, when a type has it as an inferior struggle process, it is a breath of fresh air when another similar type can understand it. 2*Both INTJs and INFJs enjoy cerebral pursuits. Both types have the driver of Perspectives which means that they both prefer to find the deeper insights. Travelling this road together can be satisfying at a level they don't often experience elsewhere. However, their co pilots Harmony for an INFJ and Effectiveness are quite different and give diversity to how each Perspective plays out in real life which still makes the process interesting instead of boring. Which opens up a lot of fun, long conversations on other perspectives in life. 3. *Both types tie as the rarest of all personality types. Thus, finding another rarity is a gift of soul exchange for both parties. 4* IF used in a playful way, INTJ's authenticity function and INFJ's accuracy can enhance the relationship. There is a lot of ways these two types can have fun together but most involve an intellectual way of "having fun" that many other personality types may not love as much. These include sharing research, ideas, possibilities, plans for the future ect. We LOVED planning our budgets and discussing together, planning home decor and sharing pictures of the process, researching medical ideas and testing and aiding each other in our decisions. Pursuing natural health together, coming up with ideas of why other people didn't get along or trying to understand the concept of gossip. Sharing our favourite songs and texting them often. Watching our favourite shows and discussing character motivation and personality types. Talking about the future, our children's growths and struggles with Autism ect. Gaining understanding of the human psyche through psychology, philosophy and sociology research, discussion and application. Laughing at quirky stories and both of our social struggles, conundrums and weird interactions with people. Accepting the odd, the mundane, the physical sensory that most people do not talk about, and the profane. Dissecting religion, christianity, and upbringing. We both fully understood each other's backgrounds because we explained it ALL. We were able to discuss faiths, non faith stances, and any belief system within a neutral, non judgmental, non secretly motivated space provided to each other. Neither of us subscribed to one belief yet both of us had high values and ethics and a belief still in something bigger, thus it was easy for us to discuss the ridiculousness of many interactions, conversations and the way people try to control other people. That baffled both of us and it was always fun to have that understanding. 5* The T and F balanced each other out at times. Her thinking enabled me to explore more of that potentiality in my life. My Feeling helped her acknowledge emotions and be able to have more relationships in her life that were based on feeling due to her new understanding. My understanding of those who use Thinking as a primary go to deepened. It was easier for me to understand that emotional differences did not equal cold unavailability. My son also teaches me this. He FEELS deeply, but how he is able to access that emotional need and process it, is another story. He often needs me to give words to his feelings, and I often need him to validate truths, help me discover my own vulnerabilities, and he often strengthens my resolve. When working together, these two types beautifully balance each other out. We made our "break up" official last Thursday. I wrote a post about that HERE. I process best by writing. Also I have not had the energy to write for a long time, but I realized I was giving a lot of my energy to trying to keep up the relationship that was dying. My husband described it as "the exhausting way of feeding a fire that is ash and wishes to go out. It is possible as long you are constantly there with the kindling." My kindling was becoming both of our burdens. I am naturally exhausted from Anemia anyway, but that added pressure took away what little energy I had left for the rest of life. And I never realized that until it ended. "You can't feed a fire, can't feed a fire without a spark. This gun's for hire even if we're just dancing in the dark. "- Ruth Moody or Bruce Springsteen. I will admit that INFJ's tenaciously hang on to relationships, even toxic ones (which it wasn't but it was becoming that way.) I have learned boundaries in the last few years and more practice with endings has given me the ability to let go easier. I would not have agreed to an ending if I had not had the growth I did in the last decade. I was terrible at endings. It took me 14 years to get over some of my high school friends that I never saw again. It has only been in the last couple years that I am completely fine with those endings. But five years ago I lost another few relationships (family or friends) and those didn't take me long to recover from. And it's not because they were less...it was just because I got better at accepting seasons, learning how to grieve, and becoming stronger during endings and hopeful new starts. I am a bit more stoic now. I tend to be better able to embrace the yin and yang of life. That said, I am still emotional being an INFJ Four Enneagram:) And when closure comes, I am able to have clear, concise boundaries or even end something I know is not healthy. See INFJ Door Slam HERE or If I Cut You Off Chances Are You Handed me The Scissors HERE. I also realized in my own way, due to some disagreements that went down and some issues with her children, that I also started closing the door and a few times I WANTED to door slam, but didn't and I am glad we had a little more time and that in the end, we both mutually decided it was time to be done. Since Christmas the song "Where do Broken Hearts Go" was on repeat in my home, but I didn't know why yet. Subconsciously I knew the beginning of the end was coming swiftly and the song applied. "Where do broken hearts go, can they find their way home? Back to the open arms of the ones who truly care. And If somebody loves you, will they always love you? I look into your eyes and I know that you still care for me..."- Whitney Houston. It's time for dancing in the dark. It is also a good reminder that we all have our secret battles. Some of which we don't even realize we are fighting until they are done. Thus we can not know what a person is struggling with so to have grace for all seasons in life. Often we can't share until it is resolved. Or sometimes there are no words or the processing is waiting...We have stagnant seasons, seasons to share, flourishing seasons, and times of passing. There are middles, beginnings and ends. She was a large part of the middle of my life. Her ending will enable more beginnings. And vice versa. Maybe we will become close again one day? I know that will not be happening for at least six months if not for a long time because we both need to find life without each other. But maybe? Then again, maybe never. It is what it is. 15 years of an intimate emotional/ intellectual/ spiritual relationship with my friend gave me a platform for the rest of my life. BOTH of us became more accepting. We also accepted each other's quirks easily and that understanding was an invaluable gift. I don't ever want to replace her because it is impossible. 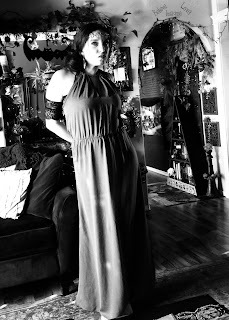 She was so much of me, in many ways and no one besides my husband and children has ever, nor will ever, have that much access to everything that I am. But, that can also get exhausting and is hard to sustain long term. I am ready for relationships that give more space for awhile. I am ready to use my extra time for my husband, children and the friends that still love me and WANT me in their lives. Also, I want the relationships that thrive on ebb and flow, so that there are no clear endings or beginnings but there is just an easy going acceptance of closeness and distance. However, she was the best thing that could have ever happened to me in my tumultuous twenties and the first half of my thirties. I truly believe our relationship helped build my foundation of self esteem. It would have been way tougher to become whom I am now without her unconditional support. Other than my husband ( and now children) I actually never felt loved and acknowledged in spirit the way she loved and acknowledged and accepted me. So many people have misunderstood me, called me "too much" or did not validate my sensory overwhelm or needs prior to her. She helped me understand that and OWN it. She helped me traverse my autism diagnosis, the early years of children with post partum depression, and the LARGE adjustments of becoming. I KNOW without a doubt, that life would have looked a lot differently without her. I would have been LESS. I would maybe have withered away without her there to constantly listen, process, acknowledge, dispute, research and provide a constant sounding board. I know I was also the same for her as in her last email she sent me the song "Because You Loved Me" By Celine Dion and said that the accuracy of the lyrics was true to her. Which was a rare form of emotional expression. I listened and agreed (and was so honoured by that last expression of vulnerable emotion.) I was also her strength when she was weak, her voice when she couldn't speak, her eyes when she couldn't see and saw the best there was in her. We lifted each other up and gave each other faith in life. We truly became parts of ourselves we never would because we loved each other. My son and I are both Autistic so we have that similarity and understanding too. (We both think the above pin is hilarious.) With my son, he is my truth seeker and my sounding board. If I need an honest opinion I go to him first. He gets a kick out of me and often laughs with an, "oh mommy, you are so adorable." He likes my vulnerable innocent expression because deep down he also has that mushy centre. We both value honesty. We both like to talk about ideas, research and possibilities. Yet, we probably have argued the most out of all my children in the past ( not so much since he has reached teen hood and is able to access his perspectives clearly.) Because we are both intense. We both feel strongly on matters and tend to not wish to compromise on our ideals. We both need schedules but how we go about them is entirely different. I am more spontaneous within my schedule and need to be the boss of how that goes depending on how I am feeling. He also needs to be the boss and prefers a more routine day to day rigidity. We both get on each other's last nerve that way and have to negotiate. I find negotiating easier with my son because I am the parent still. He would probably say the opposite, although he is getting better and better at negotiating and leaving us both with excellent options. With my former bestie, I was getting tired of negotiating the last year and I think she was too. We were negotiating a lot instead of inspiring. Where as most of our relationship was based on inspiration beforehand. We both wanted to feel more love again. We both wanted to be able to have the freedom to focus on more without our attention constantly on negotiations. With my son, there is a different component. Also being male lends a difference. Growing up in the same home we also share more commonalities to make it easier. Our values are almost fully aligned. Plus a parent child relationship is different. There is more adaptability and less reliance on a partner sort of love and more focus on a working part of family life. Would I do it all again? Absolutely. I will admit that I have already walked through a few phases of grief and probably will again. When she sent me that song and I listened to it, it took me 45 minutes on a drive to compose myself. I was A MESS. I had a crying hangover the next day. I've also been angry at some things. I have seen how we enabled each other now where as before I would never admitted to that. I see the blame and the pushing that she did to escape me and I finally realized it was time to be done. I held on longer than she wanted to and that does make me angry. She pushed to an end she wanted and some of how that went down triggers the anger part. But I pushed for her to feel and stay and I'm sure that triggers her anger part too. That said, that was only in the last few years. She wanted her family to be more involved, I wanted less. We wanted different expressions in a new season. I also made her angry by not understanding her motives when I easily did in the past because I have been tapping into my feeling side more fully again. However, most of it was positive. Some of those habits will be tough to break. I think that will be the toughest part of all. We were a daily part of each other for the better part of 13 years and then for the other 2 years we were a weekly part of the fabric of existence. It reminds me of grief. It reminds me of when the harder parts came LATER. There was initial sadness but it was often coupled with closure, focusing on what was given, celebrating the life, and seeing how life will be different and being open to that change. But as the months go by the loss becomes evident. Even if it is what life gave and was necessary. It's still is loss. I have also felt relief, freedom and overall gratitude. What will I be without her? That is something exciting to explore. On the flip side, it is also something that I can't imagine being without. Her lack of constant feedback will be a large adjustment. Life is full of choices within set experiences that are not up to us either. It is that ever fine line. We may have chosen a clear ending before it naturally happened but preventing natural decay was important for both of us. There are seasons for everything. "Loving you was worth the fall my friend. Didn't we almost have it all? "- Whitney Houston ( The rest of the song doesn't apply really.) Processing it will take awhile but already I feel set up for the beginning of a new season. The prevailing emotion is gratitude but I am trying to honour all the emotions, thoughts and perspectives. "Looking back, on the memory of, the dance we shared, 'neath the stars above. For a moment, all the world was right. How could I have known, that you'd ever say goodbye, And now, I'm glad I didn't know, the way it all would end. The way it all would go. Our lives are better left to chance. We could have missed the pain, But I'd have had to miss the dance..."- Garth Brooks. Side note: My husband is an ENFP which differs drastically and I have written about in the Marriage and Partnership label.